Translation of National Development Plan (NDP Vision 2030) into measurable outcomes, Early Childhood Development, social relief of distress, food security and households profiling are some of the key areas that the department should focus on during a three-day strategic planning lekgotla, North West MEC for Department of Social Development Hoffman Galeng told departmental senior managers Vryburg on Thursday. “The planning Lekgotla that we are having here today must put us in the right stead to come up with innovations and synergies to improve service delivery. We must improve in the way we do things. In our planning we should try by all means to remove the red tapes which normally hinder service delivery in our communities,” Galeng said, adding that managers should not settle for mediocrity and sub-standard performance in their pursuit of service delivery in all 407 wards in the province. Other critical focus areas, Galeng said, include decentralisation of budget to departmental district offices, office space, transport services and the recruitment of people with disabilities. 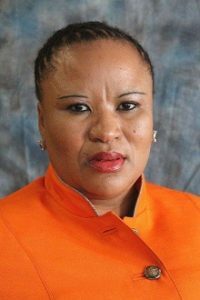 The three day Lekgotla, Galeng said, should also come up with ways to address problems related to procurement of goods and services, transfer of payments, payment of suppliers within 30 days, including the state of readiness of projects in the benefitting municipalities. Galeng called on management to work together in harmony to achieve more than what has already been achieved in the previous financial years, putting the needs of young people on top of the department’s developmental agenda. Various organisations including National Development Agency, the South African Security Agency, representatives from Provincial Internal Audit and the North West provincial planning commission are part of the departmental strategic planning lekgotla that is scheduled to end on Saturday.